The one thing that will always remain the same is that many young men will father children and brag that they are men, when in reality they are still boys who have yet to grow up. Then there are the few who will acknowledge that they are the father and go no further with the financial responsibilities and leave it at that. But then you find the rarest few as in my stepson, who is still a young man of 20, yet has taken on the responsibilities of not only being a good husband but a great dad. His love for his little girl is a wonderful thing to see. The smile on her face when she sees her dad and the laughter they both share. With her father's love of sports, she will know more than most boys, she will be tall, like her dad, and beautiful like her mom. My stepson is wonderful to his family and he will carry on and share his love even more when his new daughter enters the world. 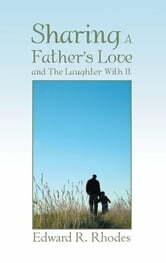 The love that he will share will have plenty of laughter with it.